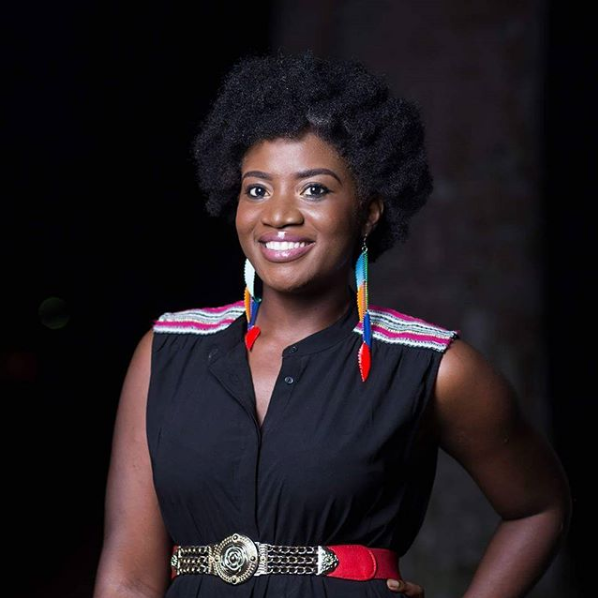 “It is better to try and fail than to fail to try” Mawenuya Matey of We Naturals shares with us on IWD, her experiences since this inception of her natural hair brand. Read the full interview below. Questions are welcomed. WN: My name is Dorinda Mawuenya Matey. I am a product of Ghana National College and University of Ghana, Legon. I am a wife and mother of 3 boys. I strongly believe in the statement that ‘it is better to try and fail than to fail to try’ so any ideas I have I implement. I do not stay in the dreaming state for too long, I act. I have gone through many entrepreneurial ventures in the past; I have sold Banku and Tilapia, started an errands company, an online store amongst others and then We Naturals happened. We Naturals has a unique story. It started as a Passion and not a business. When I started my second natural hair journey in 2013, I started researching and experimenting with different hairstyles, products and regimen. On my first anniversary, I started a Facebook page (We Naturals) to share what I was learning from my research to help make the journey of others easier. 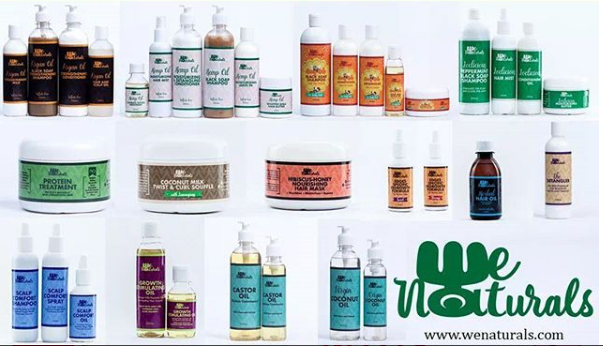 The business We Naturals came in after followers on Facebook started asking about products. 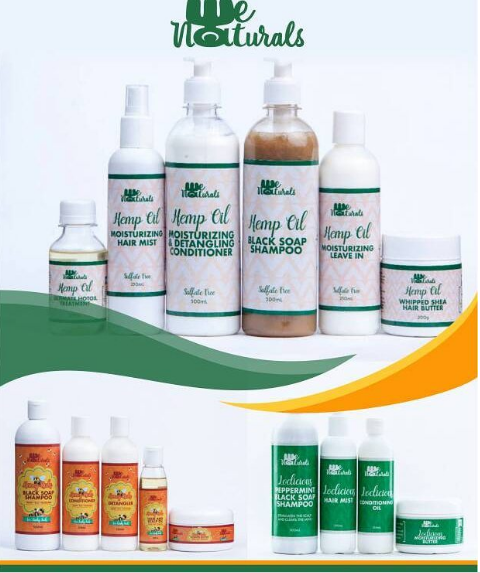 This led to selling of other brands’ products until I started making We Naturals products based on specific needs of our customers that the other brands couldn’t meet adequately. WN: I have a passion for hair and it is my mission to make the hair journey for others easier so whenever I receive a positive feedback (which happens a lot), it inspires me to go further and do better. WN: I quit my job after I realized I could pay myself and still grow the business. 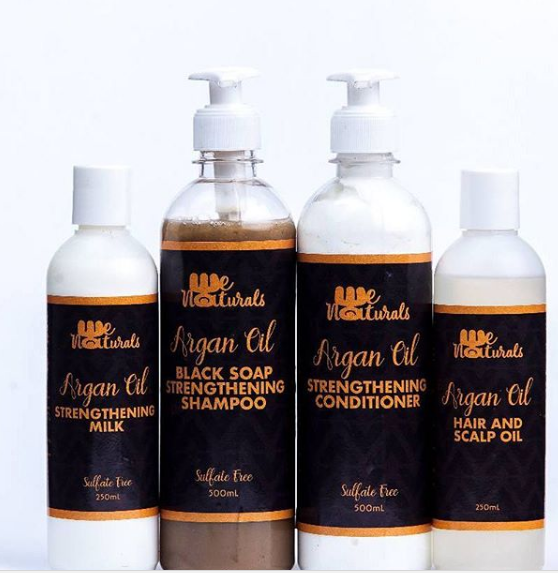 Leaving the safety of guaranteed monthly salary is a risk that was boldly and gladly taken.Another step I took that helped was studying how to make natural hair products. I have studied with two American accredited institutions and this has given me a lot more insight into the formulation and what works best for our hair types. TNBGH: If you had an opportunity to do anything differently? What would it be? WN: I honestly cannot think of anything I would have done differently. All my experiences have helped get us to where we are today. WN: Pushing your new self to get better than your old self every single day. TNBGH: How can women in the beauty industry press for progress? WN: Learn and get better at what we do. We can never finish learning if we want to be the best. 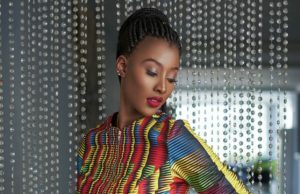 TNBGH: How are women making a positive impact in the beauty industry? WN: There is a lot of can-do spirit in this industry. I have had many young women come to me to mentor them as they start on their journey in the industry and I believe many more of my peers might be supporting in that regard as well. Showing younger women what we are doing and inspiring them to reach higher is one of the major impacts. WN: It is better to try and fail than to fail to try. Go for it! If you fail and so what, you learn and you get better on the next venture. Do not be afraid of failure. WN: To look back at my life in my old age, laugh at my failures, celebrate my successes all in the midst of hundreds of people whose lives I have touched in diverse ways. 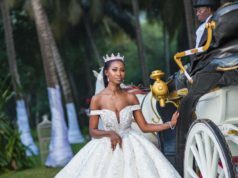 TNBGH: Do you think the beauty industry in Ghana is a viable career path? And what is your number one advice to an amateur looking forward to being a part of this industry? WN: It is a very crowded space so unless you are passionate about it, it isn’t the right path for you. If however, you are passionate about it, then go for it, do not give up, enjoy the process and all the learning that comes with it. No, I have not encountered that in what I am doing currently.